The Royal Opera House has brought together the best cast in the world right now for their new production of Verdi’s La Forza Del Destino. La Forza Del Destino is about Don Alvaro accidentally killing the father of his love, Leonora, with both of them escaping separately from the murderous wroth of Leonora’s brother Don Carlo Di Vargas, it comes to a thrilling denouement with Don Carlo killing Leonora and being killed by Don Alvaro. 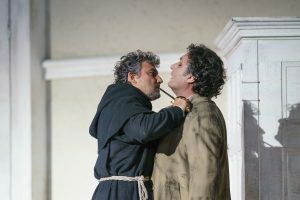 A palpable tremor of excitement swept through the audience when Jonas Kaufmann came through the window and on to the stage of the Royal Opera House. There had been a lot of rumours as to whether he would appear on opening night, not least due to his non-appearance at the dress rehearsal, but he did turn up, his first act was not quite as strong as usual but by act 3 he was very strong, with great company in Ludoviv Tézier as his arch rival who fantastic throughout. With either Kaufmann or Tézier in an opera, you’re guaranteed a great night and a world-class performance, but neither of them were the star, Anna Netrebko as Leonora was absolutely phenomenal in her role debut. Her upper register is still crystal clear, but it is her lower register which is seductive and growing better every time. What is great Netrebko is her willingness to take risks, to enjoy it and experiment, she is at the very height of her powers and it is a privilege to watch her reign supreme. 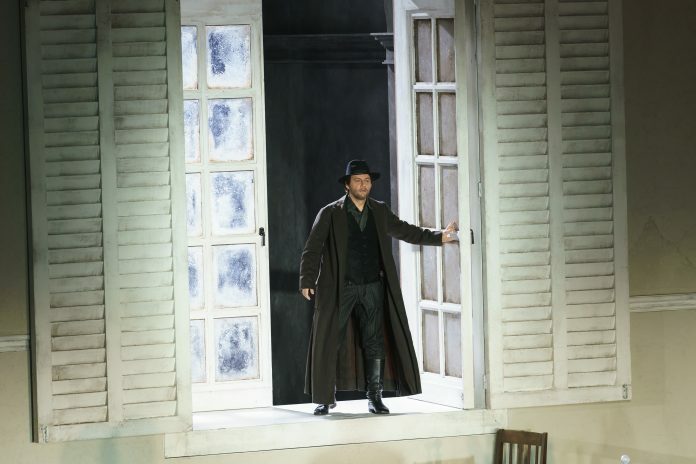 Ferrucio Furlanetto is also a brilliant Padre Guardiano with a wonderfully sonorous voice and Alessandro Cobelli brings some much needed comic relief as Fra Melitone. Veronica Simeoni as Preziosilla is not quite up to the challenge and is a weaklink in the production. Whilst the singing is unbeatable the same cannot be said of the sets and the production. This is a co-production with Dutch National Opera, originally directed by Christof Loy, I am not surprised that after huge applause and a standing ovation for the cast, it swiftly changed to booing for the production team. Slow motion black and white video footage broadcast on the back wall is unnecessary and a distraction. There were a few moments where the production wasn’t doing enough- in Act 1 when the lovers are caught by Leonora’s father there is a gap where the servant is standing there holding the door open for quite a long time before he bursts in, Leonora’s father behind him, which takes away from the urgency of the piece. On the plus side, the choreography of the gypsy dance was fantastic and a much needed colour burst after a pretty consistent grey set. 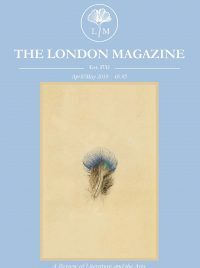 La Forza del Destino is a triumph in its casting, most particularly Anna Netrebko who gives a simply stunning career best, Antonio Pappano conducts the orchestra with vigour and more than upholds his reputation as one of the best Verdi interpreters. The production is a bit poor and isn’t worthy of the singers on the stage but, with a cast this good, the production really doesn’t matter, this is the operatic event of the year. La Forza Del Destino runs from 21st March to the 22nd April. For more information, please visit the Royal Opera House website.